Hoist Group offers you a wide range of guest amenities to choose from. We stock our own popular series, SPA Vital, which was recently expanded with the addition of two new series. We also offer specially-designed guest amenities based on our clients’ wishes. All the products in all our guest amenities series are available through our webshop. The webshop also stocks a wide range of hotel interiors for both bathrooms and bedrooms. When you buy from the webshop, you will be able to get an overview of your previous orders as well as delivery information for your current orders. 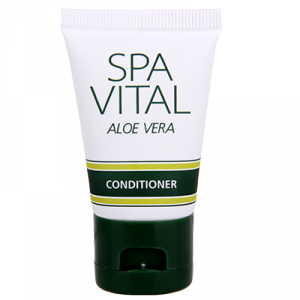 All our guest amenity tubes in sizes 25-50 ml are d2w-certified and enriched with eco-friendly aloe vera extract. The d2w additive is included when manufacturing plastic and makes the product biodegradable. Depending on what type of product is desired, different lifespans can be set for each plastic. When the plastic’s lifespan has ended, it begins to break down with the help of oxygen. Ultimately, the plastic product breaks down into carbon dioxide, water and biomass. The plastic is recyclable throughout its lifespan. Specially designed guest toiletries give your hotel its own series of products that help create a personal touch and that become part of the hotel’s marketing and profiling efforts. We can provide you with cost-free sketches to help you choose your design and also the scent of your products. If you prefer, you can create your own design. Our popular SPA Vital guest amenities series has been expanded to include two new series. All tubes are manufactured in d2w-certified plastic and are enriched with eco-friendly aloe vera extracts. SPA Vital: The Original is a complete series of toiletries that contains everything needed for a comfortable stay. The amenities bear a mild scent of lemongrass. With its combination of classic design and pleasant silver birch scent, our SPA Vital Aloe Vera series makes for a nice complement to the majority of hotel bathrooms.